We love how Veronica Beard's 'Carito' shorts look styled with the matching blazer - coordinating suiting is such a big trend this season. 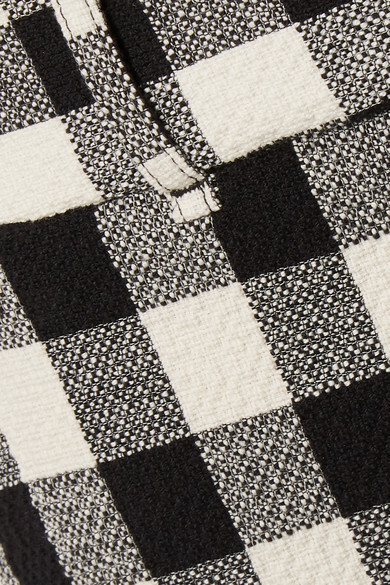 This loose-cut pair is made from a tactile cotton-blend that's woven with a hint of stretch and monochrome gingham checks. They sit high on the waist and have rolled cuffs. Shown here with: Acne Studios Sweater, Wandler Shoulder bag, BY FAR Pumps, Loren Stewart Anklet, Laura Lombardi Earrings.